Report on the state of the Communion to the Second National Assembly, November 2005. The Kingdom of God is making itself present among us. * The Communion has been powerfully blessed during the year 2005. * These regions have a total of about 275 Communities and the number of members is approximately 120,000. * In spite of the difficulties, one sees everywhere a marked growth in the number of members of the communities. * Spirituality, the liturgical and sacramental life, and missionary zeal have all three deepened. * The sense of belonging to a Communion of Communities has been reinforced. Last year there were some doubts, but these have now been overcome and replaced by a feeling of confidence. * The Eucharist has become identified as the center of our spirituality, and the communities’ Eucharistic sensibility is steadily increasing. * The celebration of the sacraments, which were no longer available in many of the communities that had been turned away, was restored. * In all the communities there is a feeling of joy, of discernment and of obedience to the Spirit. * The profoundly catholic nature of the Communion became clear when the Communion made alliance with communities of diverse characters, organizational forms and methods of working. * A systematic program of education has been put in place: there are workshops to train teams to give retreats on life in the Spirit, and to train leaders of youth ministries, regional secretaries, and leaders of evangelism and missionary. * Regular sacramental celebration in the various communities has been achieved, and an exchange among the communities to support retreats and other means of spiritual formation has been established. * Last year, the idea of the Center of Spirituality and Ministerial Education—“Santa María del Nuevo Éxodo”—was only a dream in Huehuetenango. With the help of the Lord we have succeeded in buying a piece of property that contains 7.65 acres for this Center, and we are now putting the final touches on the 12,675 square feet of construction. * In Santa Eulalia we are in the process of acquiring a lot of 1.3 acres to construct, in the future, a Mission Center for the care of the area north of Huehuetenango. 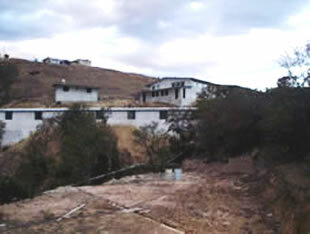 * In our central seat in San Lucas, we have also completed a two-story building. The first floor will be used for storage so that all the buildings that currently exist can be put to their original use. The Center of Education will occupy the second floor and will have four dormitories and a meeting room. The total construction will be 3700 square feet. * At the same time that we recognize these achievements and many more that there is not enough time to mention, we must also be mindful that we have had a series of crises and that we still have a long road to travel in order for the Communion to be able to respond completely to what the Lord is asking. * I believe there is a lack of depth in the feeling and value of the sacraments. That implies the need for greater preparation in catechetical class and better sacramental experience. * There is a lack of depth in the commitment to evangelism and missions in each community. * Some brothers and sisters have problems that we have not succeeded in facing as they need and deserve for us to; one example is the set of issues and concerns raised for those who have failed in a first marriage. * The need for more priests who are ready to share in our mission and style of pastoral action is urgent. This requires the prayer and support of all the communities. * It is possible that in the future it may be necessary to discuss the development of more and tighter structures, both at the general and the regional levels. This is especially necessary in the regions in which not even minimal coordination exists. Nevertheless, I think this should be postponed until it is inescapably indispensable. The character of openness and freedom that we intend to live means that the more spontaneity and pluralism prevails and the less there are rules that centralize or are obligatory for everyone, the better we can go forward in carrying out our mission. Undoubtedly there are many more successes and limits that we could bring forward. Those listed are only the most notable and striking ones.